I remember an interview where the director stated that he wanted to take Gundam's WWII imagery and swap it out for Vietnam War imagery in VOTOMS. He went on to say that what often gets lost in that comparison is that - much like in Gundam - VOTOMS isn't tapping into the United States' attitudes towards the war, but rather Japan's. I don’t know why, I just cannot get through Votoms. I guess it might be because the only character I like is Vanilla. I’ll give it another shot some day. Also, you should have titled this “Power Votoms”. It's interesting that Votoms was popular enough to remain in the minds of fans throughout the decades and has continued to get some short sequels as well as various spin-offs, but never another full-length TV series. I suppose it's the fact everything is so closely tied to Chirico Cuvie. There are some spin-offs without him, but those have had a much lower profile. 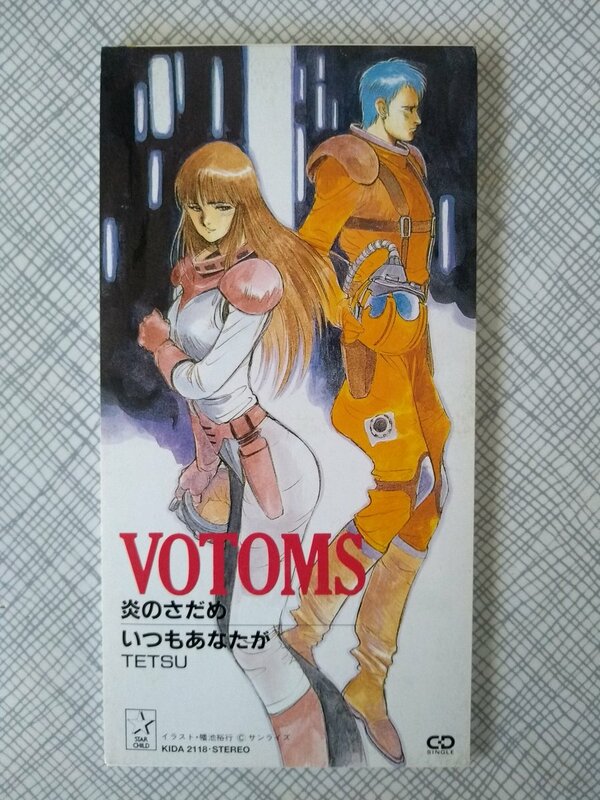 I think that's what sets Votoms apart from Gundam and Macross as properties. Sunrise did try to make some entirely new Votoms productions a few years ago, but they seemed more like experiments as opposed to anything else. Great article with new (for me at least) tidbits of information! I've always been fascinated with the seemingly endless amount of Scopedog figures (all slightly different from another). suggested a CD era release, rather than the anime series' run of 1983-1984. The CD single was actually released on 21 August 1998. Youtube clip of Honoo no Sadame. Tetsuro Oda performed Honoo no Sadame at Animelo Summer Live 2012 (and was the music composer for the Animelo Summer Live 2012 theme song, Infinity). Man... It's a good day when a nowadays little appreciated SF classic gets called out in an anime review.